You are most likely not a hoarder even if you call yourself that! I did a video the other day about it (it was actually a Facebook live) click on the image below to watch it, or continue reading. People keep stuff ‘just in case’ because they have a lack of trust that they will always have what they need in their life. They may have had experiences where they didn’t have what they needed and then started to hang on to everything. All this just in case stuff becomes clutter and fills up your space and keeps you stuck. Other people buy things for status reasons, to keep up with the Joneses (who the hell are the Joneses?) or to keep up with friends and family. All the commercials on TV, as well as the ads in the newspapers and in recent years online, also tell them a story of what all they need before they even knew they needed it. So their houses start to fill up with things they don’t use and don’t love, which is by definition clutter. Commercials and advertising also tell us the story that more is better and that we need every gadget there is. The kitchen is a good example for that, mixer, juicer, food processor, slow cooker, rice cooker, popcorn maker the list goes on. But often, if somebody has clutter in their life then for some reason they needed to create it, they couldn’t cope with whatever happened in their life any other way. Clutter is a way to deal with emotions or rather not dealing with them, by suppressing them. Clutter keeps you and your mind busy. And that’s also the reason why they have trouble decluttering because unconsciously they know that by letting go of the stuff that keeps them busy and occupied they might have to face the emotions that they suppressed. Besides clutter and the stagnant energies around it make it almost impossible to start, because you get distracted, tired and lethargic. Before I continue on I’d like to say, I have no judgment, I do believe we always do our best, the best of our abilities at that time. So the other day I talked about having been at a house of a prospective client. Well, this person actually will not become my client because she is a hoarder. In my training, I have learned about what a hoarder is. I have read articles and books, I have seen lots of pictures but that’s nothing compared to when I was actually standing in a hoarders house. But now to be clear, it takes a lot of clutter to be diagnosed as a hoarder. This is a little bit of a pet peeve of mine (rant alert) when people say “oh I am a hoarder” when it’s not true and they just have a little bit of a messy home. It’s like when we say “oh I am depressed” when we just have an off day. The DSM, the Diagnostic and Statistical Manual of Mental Disorders, the handbook used by health care professionals, lists hoarding disorder as both a mental disability and a possible symptom for OCD. “Compulsive hoarding is a pattern of behavior that is characterized by excessive acquisition and an inability or unwillingness to discard large quantities of objects that cover the living areas of the home and cause significant distress or impairment. 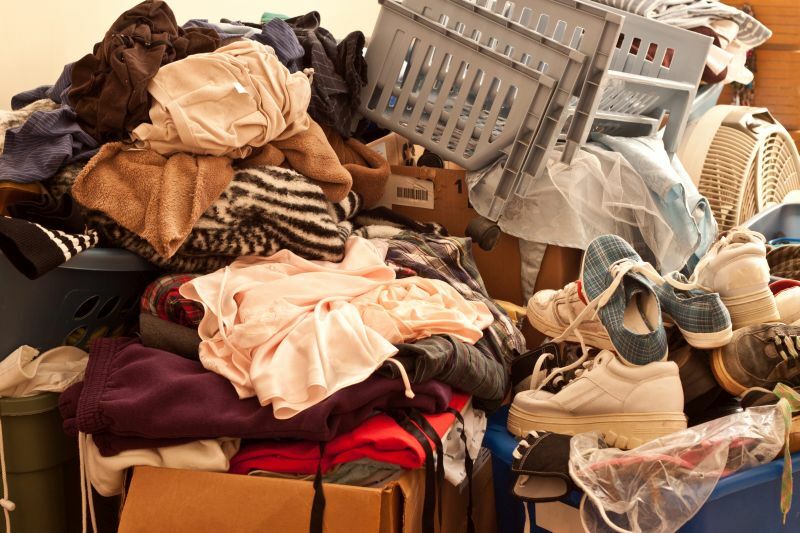 Hoarding can prevent typical uses of space, enough so that it can limit activities such as cooking, cleaning, moving through the house, and sleeping. It can also put the individual and others at risk of fires, falling, poor sanitation, and other health concerns. So in laymen terms, hoarders are people that have so much stuff in their home that many of the rooms can no longer be used. Also, hoarders are unable to throw things away, including items that have little or no value to anyone else. For the person the other day, that was the case, it was a 4 bedroom house with a basement 3 bedrooms and the basement were filled with stuff halfway up the walls, no way to enter these rooms. The living room was very cluttered too but one could have fought its way to the window. Because hoarding behavior is a mental health issue, this person needs therapy and help from a health care professional, I am not qualified to help. This experience has really affected me. Now more than ever I want to help people to clear their clutter, to not have so much clutter in their life that it suffocates them. I can help before it becomes a mental health disability, I can help before it gets out of hand! Also, clutter also costs you a lot of money. This person has been quoted by another company $10-15’000 to clear her house so she can sell it, over 260 hours of labor. That’s a lot. People keep things because of the endowment effect, just in case, for status and to suppress emotions. But please, don’t label yourself with something you are not. Don’t say you are a hoarder if you are not. Please, deal with your clutter before it gets out of hand, and if you feel you can’t do it alone, reach out to a Clutter Clearing Practitioner like me. We are trained to help you make decisions and get your life back on track and your home in order. 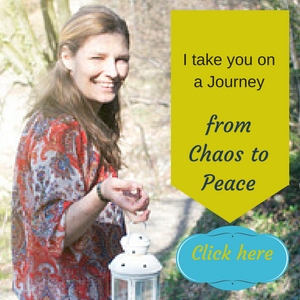 As a start sign up for my newsletter below. I share tips and tricks on how to declutter your home, office, finances and life, all for FREE.